LeetStreet Boys will be performing at DerpyCon this December! We now have 200% more performances in 2015 than we did last year. Hope to see some fans in New Jersey. FIST PUMP! Thanks to Anthony (from Vidgle) for his continued support of LeetStreet Boys over the years and we’re excited to have the opportunity to return to New Jersey for DerpyCon. ABOUT DERPYCON: Serving as a multi-genre pop culture convention in northern New Jersey, DerpyCon celebrates the culture of animation, fantasy, and gaming. 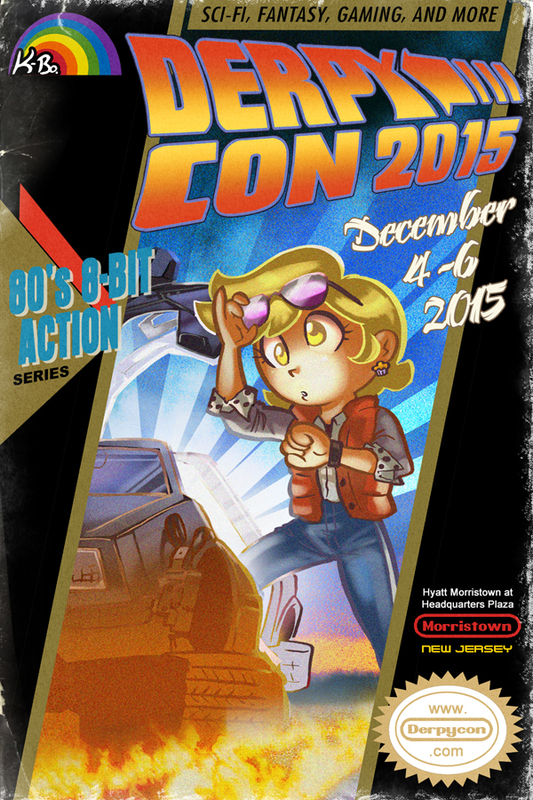 DerpyCon is presented by Vidgle and Jenthony Enterprises, Inc. DerpyCon 2015 will be held December 4-6, 2015 at the Hyatt Morristown at Headquarters Plaza in Morristown, NJ. For more information and news about DerpyCon 2015, go to https://www.derpycon.com. You guys are super!, I think you should team up with anime company and make your own anime!, anime companies will be inspired by you and your amazingly job!, you can also use your comics as a manga somethin , use the first episode as the comic,I know this might sounds impossible.. But you should give it a try , and you will be so famous , I like your songs so much!, thanks for beginning yourself!